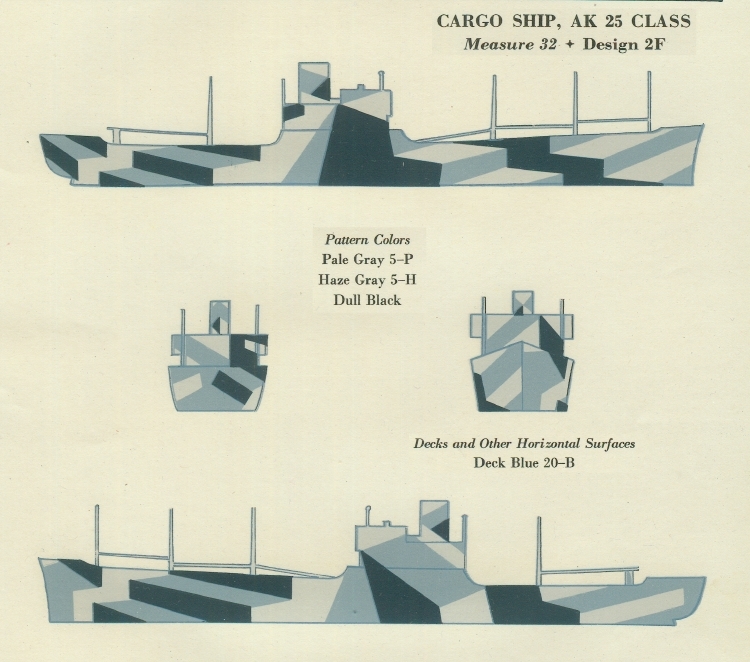 The design drawing for Measure 32/2F for the USS Algorab (AK-25) a C2 type cargo ship was attached to the March 1943 supplement to SHIPS-2. The Measure 32 colors were dull black (BK), haze gray (5-H) and pale gray (5-P). Note, because of the lack of control in the color reproduction process, these colors may not be a true match to the actual colors. 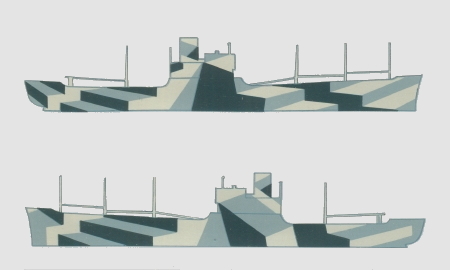 The earliest Design 2F drawing was attached to the Supplement to SHIPS-2 in March 1943 as above. Then Design 2F was drawn for the Omaha class light cruisers on June 3, 1944. Original drawing source: The March 1943 supplement to SHIPS-2 Plate XXIX.